As we settle into the new year, tech companies from around the globe are gathering in Las Vegas to showcase the future of tech wizardry and electronic gadgetry. This year, LG looks to follow up an eventful 2018 with a lineup of OLED TVs that push boundaries in interesting ways, including the rollable "Signature" R9 OLED, the 88-inch Z9 8K OLED, and the W9 Wallpaper OLED. The display company also unveiled a handful of promising LCD TVs. Here's a rundown of the LG TVs to look for in the coming months. The R9 is a rollable OLED TV—it unfurls from inside its own soundbar. Also known as "the TV that rolls up like a yoga mat," the R9 is by far the most talked-about TV at CES 2019—and perhaps even the most talked-about product in general. My colleague Lee Neikirk recently covered everything you need to know about the rollable LG R9 in spectacular detail, but allow me to cover the basics. Users can also set the R9 to peek out of its rectangular home just a quarter of the way, turning the R9 into a mood-setting musical screensaver. There's no pricing information available yet, but the R9 is likely to be one of the priciest TVs we come across in 2019. It also won't be making its commercial debut until the second half of the year, so there's plenty of time to replay videos of its mesmerizing moves until it's released. LG's biggest TV at CES 2019 is its 88-inch 8K OLED: the Z9. Given the limitations of our eyes, 8K content might not pop much on a 50-inch 8K TV, but when you're watching content on an near 90-inch panel, the difference is crystal clear. Now, you might be thinking, "I have a hard enough time finding 4K content to watch on my 4K TV," and, well, you'd have a good point! 4K TVs are just now reaching the level of ubiquity that in HDTVs reached less than a decade ago, and proper 4K content is still relatively hard to come by. 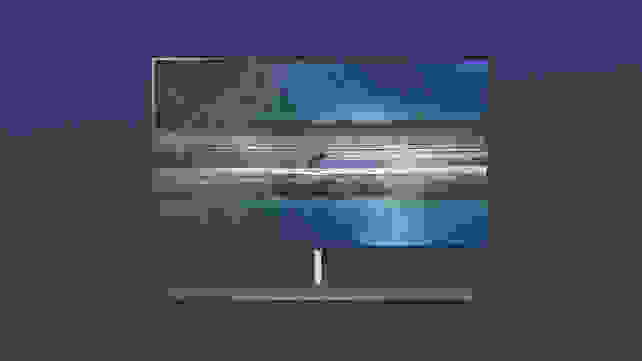 But the Z9 is built for the future—it'll be one of the first TVs to ship with HDMI 2.1, a new HDMI standard that boasts the bandwidth to support higher frame rates and, eventually, higher resolutions. Make no mistake: The Z9 is a niche product. Even though there's no official price tag yet, expect the Z9 to cost well over $10,000. LG's 2019 W9 OLED TV is the third iteration of its "Wallpaper" TV design. It sits on the wall like a portrait and all of the TV's hardware is housed in the soundbar that sits beneath it. The W9 is the third iteration of LG's Wallpaper OLED—a TV designed to sit on your wall like a portrait. Like its predecessors, the W9's included soundbar also houses the TV's hardware. It might look similar from the outside, but the W9's A9 Gen 2 Intelligent Processor is, according to LG, the best it's ever put inside a TV. The W9 will also support HDMI 2.1. The W9 will be available in 77- and 65-inch sizes. Image processing aside, LG's Wallpaper OLEDs have historically swept us off our feet, so we've got understandably high hopes about 2019's Wallpaper OLED. The W9 will be available in 77- and 65-inch sizes, but there isn't an official release date or price for either models yet. In addition to LG's 2019 OLED offerings, the company is also gearing up to release three high-end LCD TVs this year. 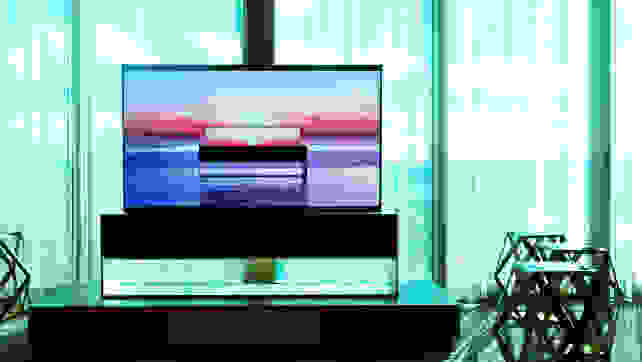 The SM99 is a 77-inch 8K TV, while both the SM9X and SM8X are 4K TVs featuring LG's "NanoCell" technology, which is purported to offer wider viewing angles, enhanced color, and thin panels with ultra-narrow bezels. Like the rest of LG's 2019 TV lineup, these LCD TVs will also support HDMI 2.1.